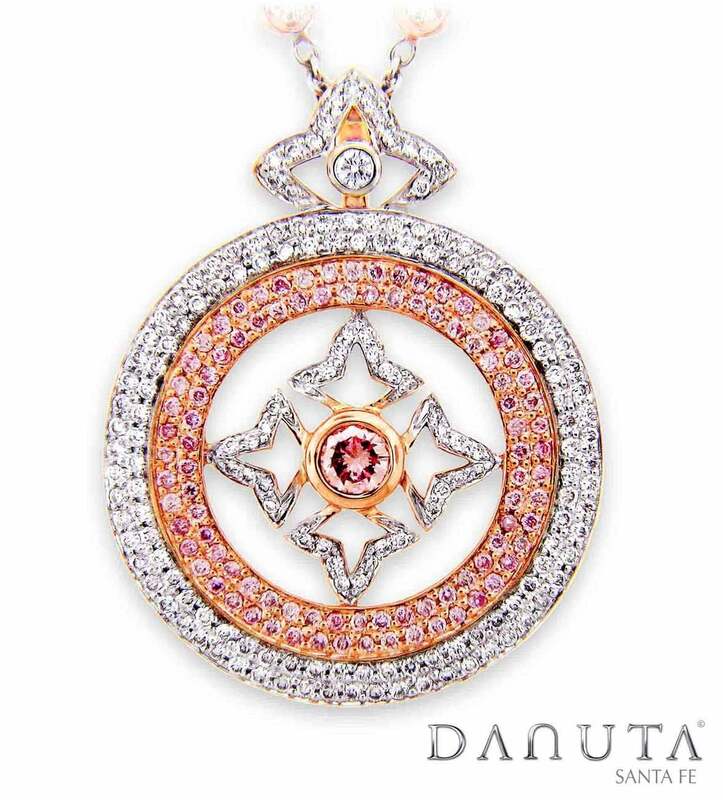 Awe inspiring 18 kt Rose and White Gold bangle bracelet, designed by Danuta & Jonathan Duran - about 3" wide, set with approximately 7.38ct pave Natural Vivid Pink Diamonds and 16.69ct F-G/VS pave white diamonds, featuring 13.64ct total in individual center diamonds. 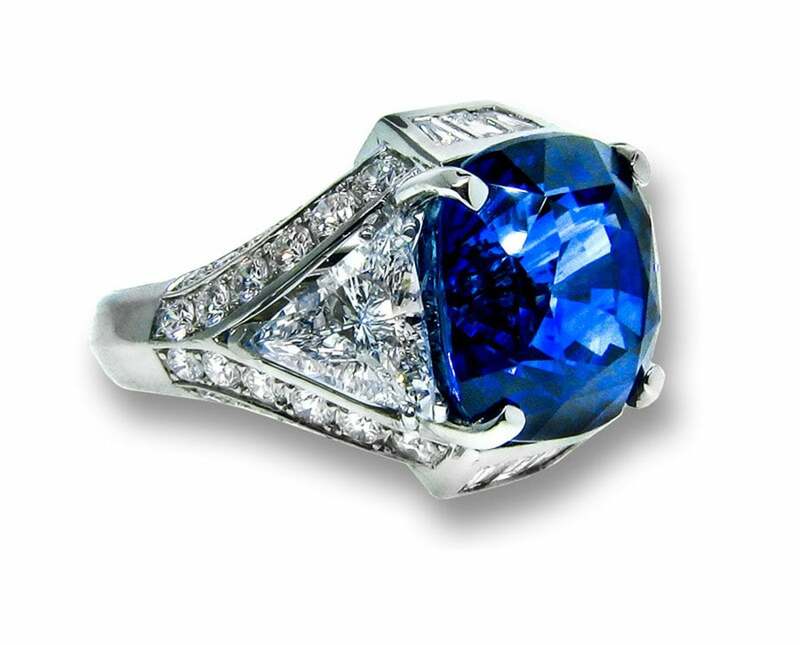 Stunning platinum ring, set with 21.58ct GRS certified, non-heated, vivid blue, cushion cut Sri Lankan sapphire. 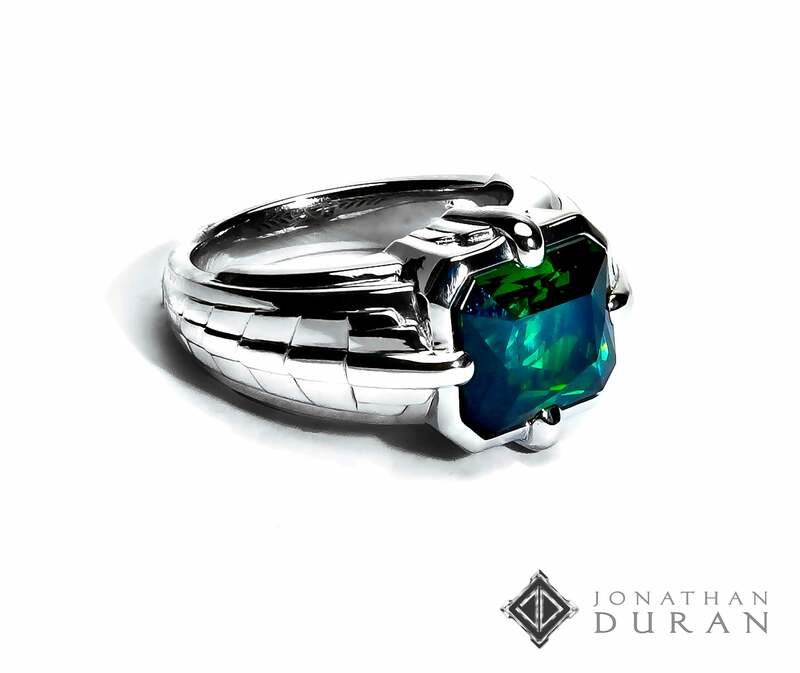 The sides are flanked with 2 trillion-cut (Idar-Oberstein certified) diamonds 1.50ct and 1.58ct D/VS2. All around the ring are pave diamonds with approximately 2.71ct TW-FG/VS in total weight. 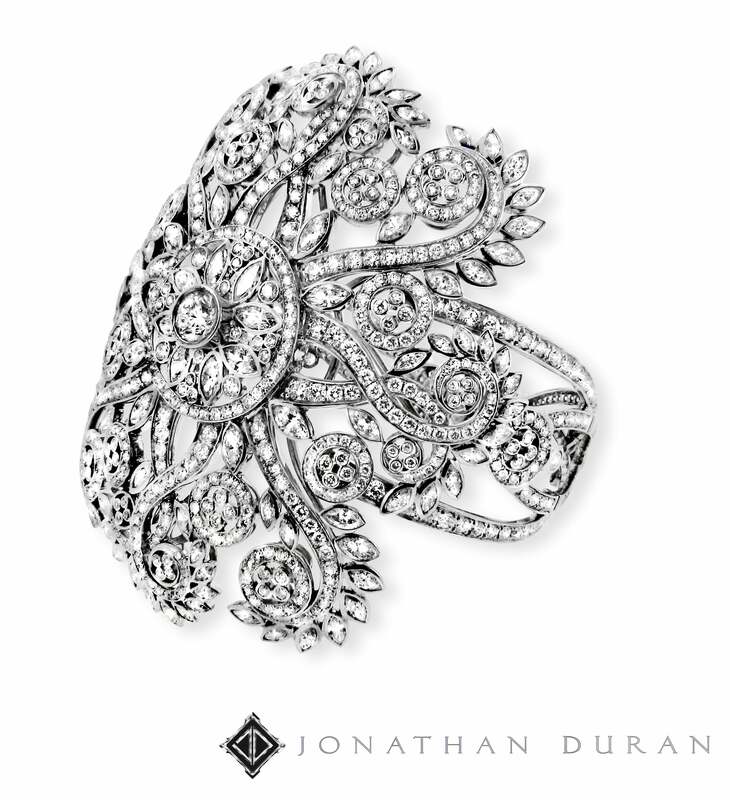 Breathtaking 18 kt White Gold bangle "Mandala" bracelet, designed by Jonathan Duran - approximately 3" wide, set with approximately 27.45 ct in marquis and pave white diamonds and featuring a brilliant 1.05 ct G/VS round diamond at it's center. 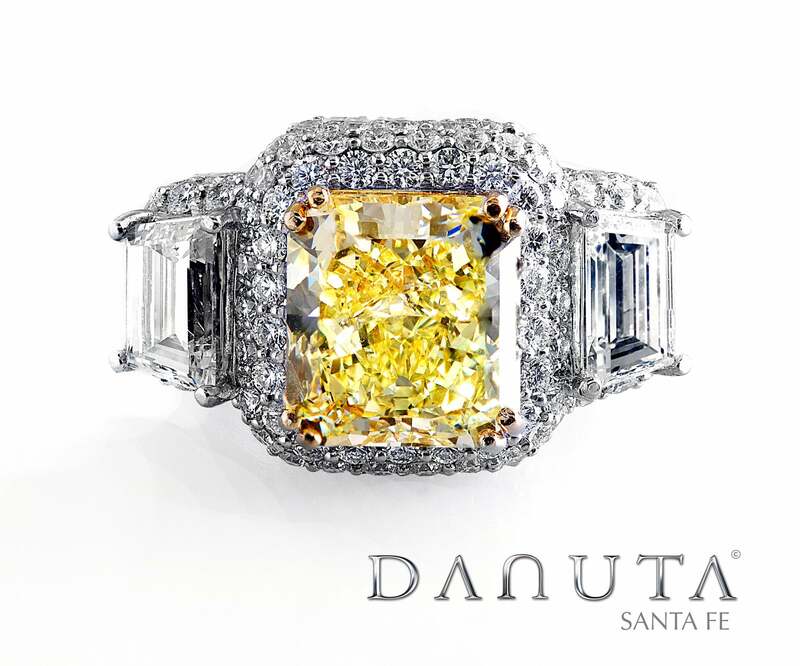 Gorgeous platinum ring, designed by Danuta - set with GIA certified 6.59ct Natural Fancy Intense Yellow Diamond, cushion cut, VVS1/Is. It has 2 F/VS trapezoid diamonds approximately 1 ct each flanking the sides of the shank along with F-G/VS pave diamonds all around the ring, totaling 3.5ct. 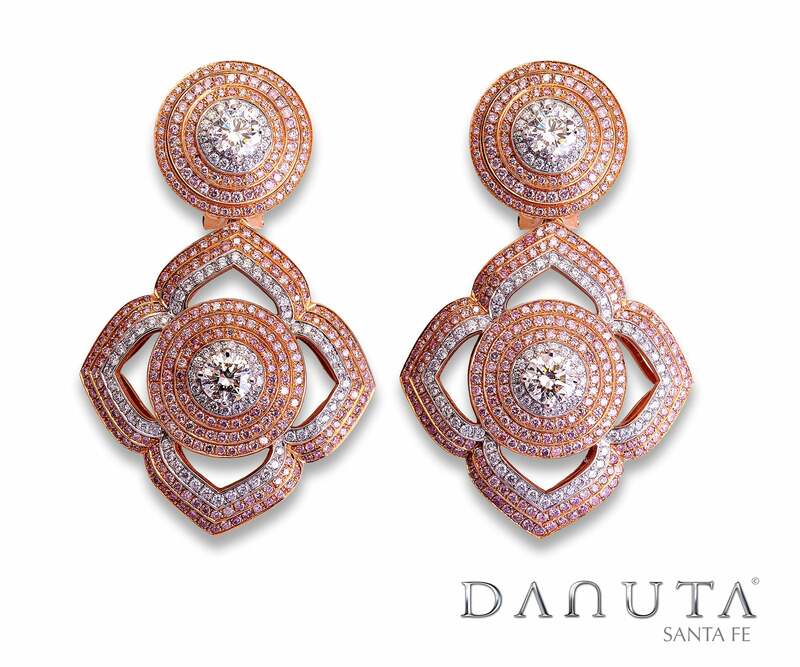 A stunning pair of large earrings designed by Danuta with 3.90ct in pave pink diamonds, 2.80ct in pave white diamonds, and 1.30ct total in individual center diamonds. 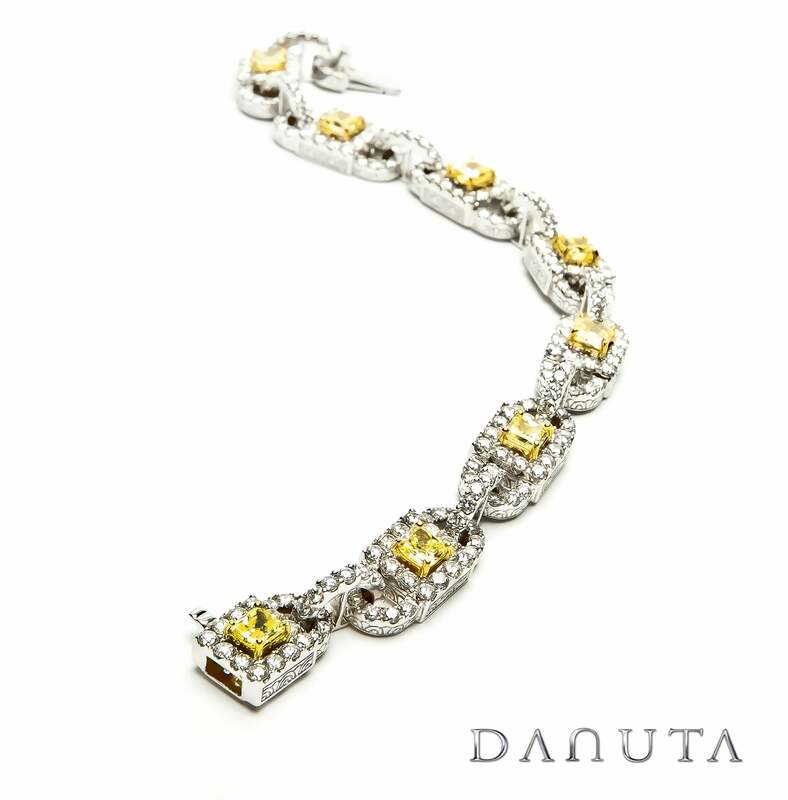 Incredible 18 kt White Gold link bracelet, dedigned by Danuta - set with seven Fancy Intense Yellow/VS1 diamonds totaling approximately 3.50 ct and 9.29 ct F-G/VS brilliant white diamonds all around. Lovely pair of 18kt White Gold hoop earrings, designed by Danuta - with detachable pendents set with 2 GIA Certified oval Fancy Intense Yellow/VS2 Diamonds weighing 3.03ct and 2.83ct with 1.80ct total weight F-G/VS pave diamonds all around and in the hoops. 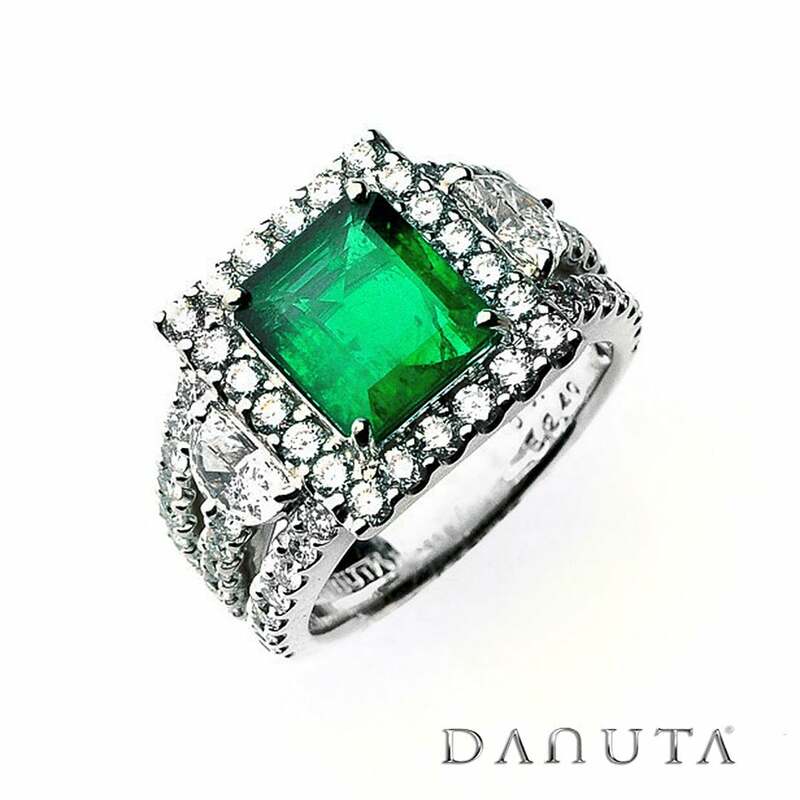 Sophisticated platinum ring designed by Jonathan Duran, set with a brilliant 6.88ct emerald-cut green tourmaline center stone featuring an Art Deco inspired setting.